© Julian Karsunky – Freelance writer and project manager Netzwerk politik|atelier e.V. 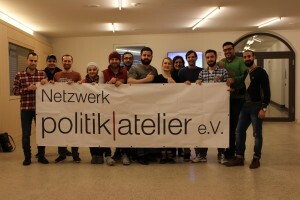 You are a project lead for the Netzwerk politik|atelier e.V. Can you introduce the organisation and explain what your role is? Julian Karsunky: Gladly, thanks for having me! Netzwerk politik|atelier e.V. (npa) is a non-profit organization from Bonn with 25 members. Since its foundation in 2013, npa has grown into an accessible platform for the development and implementation of educational, intercultural and socio-political projects in the region. Our goal is to contribute to an open and better understanding togetherness, both on a local and on a global level, in the hopes of a sustainable and peaceful future. Methodically, we try to marry political engagement with creative and artistic approaches, hence the name politik|atelier. Personally, I have been doing all sorts of volunteer work, first as an active member and since last year as a member of the board of association as well. Contentwise, I am in charge of a project called “Bildungs- und Kulturbotschafter*innen”, in which we train refugees to share their knowledge and experiences as educational speakers or – as we like to call them – educational and cultural ambassadors. As migration, integration and education are integral aspects of global sustainable development, how would you say Netzwerk politik|atelier e.V. contributes to the SDGs in Bonn? Julian Karsunky: Ever since migration in Germany dramatically increased in 2015, npa has conceived a variety of ways to promote and support migrants and refugees and create meeting points for new citizens and the Bonn civil society as a whole. In accordance with our self-image, we specifically wanted to create opportunities that go beyond conventional integrative measures by contextualizing and framing our work in the fields of educational and development policy. It is our firm belief that people from other cultures bring along a comprehensive pool of knowledge and that is beneficial for all parties involved to learn from each other. By organizing workshops, trainings and public events we not only want to help new residents tap into this potential, but also sensitize citizens for global connections behind such hot topics as flight and migration. Generally speaking, our work is a mixture of raising awareness for bigger issues and creating opportunities for concrete actions on a smaller scale. 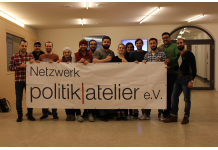 Who benefits from the programme Netzwerk politik|atelier e.V and how? Julian Karsunky: Our activities are generally open to everybody. Although we targeted certain groups in recent years, we are not exclusively a migrant or refugee organization. The focus of our work ultimately depends on the competences and desires of our active members, as we do not want to force a certain direction. We are always open to new ideas as long as they are compatible with our self-image. 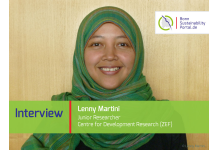 What are the biggest challenges of the project, and how does the organisation overcome these challenges? Julian Karsunky: Thanks to funding by the Stiftung Umwelt und Entwicklung NRW, we were able to expand our activities within the “Bildungsbotschafter”-project to additional cities for the first time. For a small organization as ours, this was a great opportunity, albeit not free from growing pains. Stepping out of our comfort zone and coordinating trainings in other places was challenging for several reasons, not the least the administrative work that comes with a large-scale operation such as this. 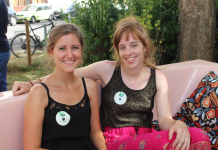 Fortunately, we were welcomed with open arms everywhere and it is thanks to the support of all our local partners that the initiative continues to be a great success outside of Bonn as well. We were able to link up with municipal and clerical organizations as well as NGOs of every size and it has been a pleasure to work in such a supportive environment. While the political climate in regards to refugees has fundamentally changed since the start of our project, it is reassuring and encouraging to see the collective efforts of so many dedicated people. 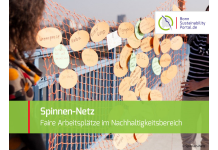 By the end date of the project in Spring 2019, what do you hope for Netzwerk politik|atelier e.V to have achieved? Julian Karsunky: I hope that we made a small contribution to the intercultural dialogue and that the participants of our project continue to actively engage in and shape public discourses by sharing their knowledge, authentic experiences and unique perspectives. Furthermore, I hope that we continue to counteract the widespread public reception of refugees, who are routinely collectivized and reduced only to their status as in need of protection. 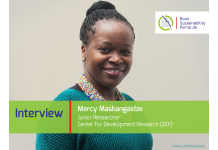 Although similar initiatives exist already, I wish that even more institutional and civil actors would rely on empowering and enabling methods when working with marginalized target groups. In hopes of further encouraging others to pick up the threads, we published a comprehensive guideline in conjunction with our cooperative partner Eine Welt Netz NRW, detailing our experience and procedure thus far. It is available here. What motivates you in the morning and how do you reflect on it in the evening? Julian Karsunky: Currently I have the great privilege of working in a field I personally feel passionate about. As I consider myself privileged in many other ways as well, I tend to consider the work I do for npa – be it voluntary or paid – as civic duty. Of course, this does not mean that I do not have problems getting out of bed in the morning occasionally, though that is for unrelated reasons. During my time as project lead, I have been thinking a lot about the meaningfulness of our work and about what it takes to truly integrate people into a foreign society. While it has been a very rewarding experience, I am confronted with all sorts of problems and barriers these people face on a daily basis. It is not all sunshine and roses, after all. To ensure a sustainable future for people that come to Germany, it would take a lot of additional effort, both politically and financially. I am convinced that it would be in all of our best interest not to repeat mistakes of the past, but that position currently hardly has majority backing, see the recent developments surrounding the Global Compact on Migration. To end on a positive note, while I worry about what I consider political regress, it also strongly confirms the value and necessity of our work.